The Strain dives into the myth, the visuals and the horror behind the virus driven vampires. Abraham provides some clues to the creatures physiology and biology while the show weaves in glimpses of his past. Eph tries to convince the CDC of the oncoming epidemic only to find himself ridiculed and hunted. By the end of the episode, the plague begins to spread…publicly. 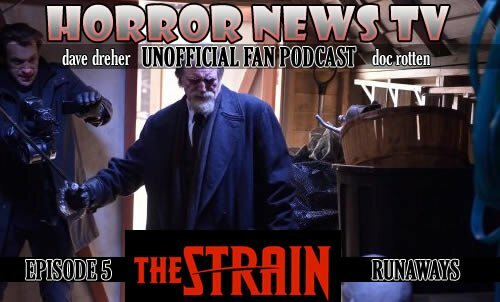 Doc and Dave have lots to discuss as the recap episode 5Â ofÂ The Strain.